What Do Artists Need? How Do Artist Impact Our Community? This probably goes without saying, but I think the artist community is incredibly important. For about the past six months, I have been knee deep a study examining artists’ needs and artists’ impact on our community (more than usual) helping with the Artist Support Study commissioned by the Cultural Development Corporation of Central Oklahoma. 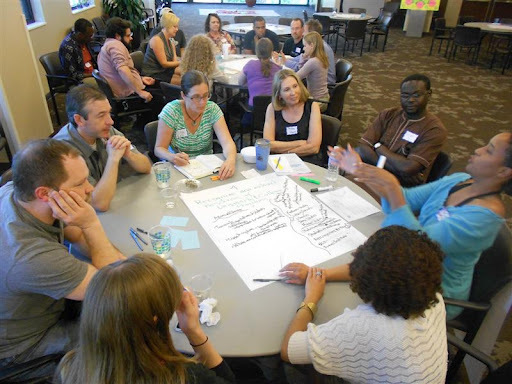 Of course we at the Oklahoma Visual Arts Coalition are constantly examining artists’ needs as we plan programs. But being part of this effort has helped me look more holistically at how artists of all disciplines interact and sustain. It is also interesting to focus on a metropolitan area, rather than the whole state, since the associations are different. 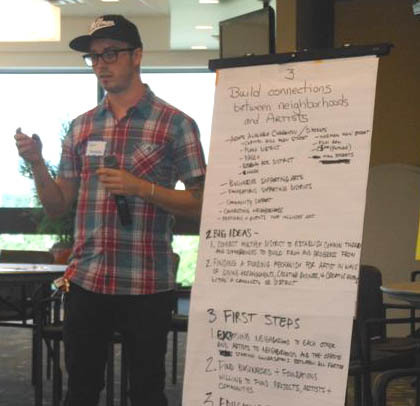 Led by our able consultants Tom Borrup and Shirley Sneve with Minneapolis-based firm Creative Community Builders, the Artist Support Study gathered input from over 120 artists, arts professionals, neighborhood leaders and educators since January. 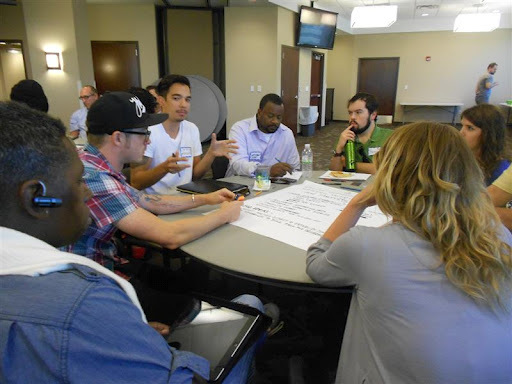 I have been involved as the co-chair of implementing the Cultural Plan for Greater Oklahoma City. If you are interested in the bigger picture for OKC-area community and artists, please join us at the release event for the study on Tuesday, July 31 at 5:30 pm in the Lyric Theatre in Oklahoma City. More information: www.cdccokc.org. Either way, I’ll report back here about the study and plan after it is public. Go artists! What Does the Affordable Care Act Mean for Artists? Adam Huttler, Founder and Executive Director of Fractured Atlas, recently wrote an article on Huffington Post about the Affordable Care Act and how it will impact individual artists. Read the full article here. Over 600,000 American artists are uninsured. The Affordable Care Act guarantees coverage for existing conditions, which has inhibited coverage for many artists in the past. By accessing a state-run exchange, artists can benefit from one-stop shopping for all available plans — including government-run and private options–and the ability to compare plans side-by-side, including benefits, networks, and price. For additional resources regarding health care for artists, please visit the Artists Health Insurance Resource Center. Experienced working with local, national and international artists working in all different styles and media, Liza Statton is a fitting curator to help us launch our new exhibition, Concept/OK: Art in Oklahomathat will featured Oklahoma artists working in all different media. Statton will select artists for the Survey and Focus components of the exhibition, which opens December 16, 2012 at the Arts & Humanities Council of Tulsa’s Hardesty Arts Center. Survey artists may exhibit up to three artworks in the large group show. The Focus artists will display a small body of work along with Kansas City-based artists and travel to show work in Kansas City as well. Visual artists may submit artwork for consideration through August 1. An independent curator based in Australia, Statton served most recently as the Gallery Director/Curator at Artspace located in New Haven, CT. Working with a wide variety of artists, Statton commissioned 10 new works during her tenure, including emerging and established artists from the area and nation. In the gallery, she curated numerous exhibitions, including a painting exhibition by Patrick Chamberlain, In the community, Statton organized outreach projects such as to artist Cat Balco working with public school students in the area to transform the exterior of a building. Before Artspace, Statton was awarded the first Eugene V. Thaw Curatorial Fellowship at SITE Santa Fe. Statton also served as curatorial assistant at the Massachusetts Museum of Contemporary Art (MASS MoCA) in North Adams, MA. There she assisted curators with organizing solo commissions and group exhibitions of emerging international artists. She organized a solo exhibition and managed the site-specific installation by Kamarooz Aram. Statton received her MA from the Williams College Graduate Program in the History of Art in partnership with the Sterling and Francine Clark Art Institute. She grew up in Dallas, TX and is spending about half her time there now as she transitions to life in Australia. Her website is www.edsprojects.com. Last chance to enter this new exhibition ends August 1! Entries accepted only through the online form found at www.concept-ok.org. Visual artists may submit up to three artworks. Artists may submit all forms of work for the gallery setting including, but not limited to, painting, photography, mixed media, sculpture, film, site-specific installations, new media, drawing and printmaking. The Oklahoma Visual Arts Fellowship is one of the unique awards that celebrates artists with high quality work and outstanding vision, which most importantly highlights the artist’s ability to push contemporary art forward with innovative approaches to media and concepts. Without awards like this, artists might not be able to take much-needed risks in their practice leading to exceptional work. In addition to these important criteria, prized contributions to contemporary art must be both visually interesting and cause us to think about current issues while learning from the artist’s perspective proposed in the work. The four artists receiving the 2012 Fellowships and Student Awards of Excellence accomplish all of the above in sculpture, painting, drawing, film and new media, presenting a wide spectrum of the intelligent work being produced in Oklahoma now. The one thing the artists Matthew Boonstra, Angie Piehl, Tara Najd Ahmadi and Jessica Tankersley have in common is that there is nothing regional about their artwork. Although each artist is at a different stage in their career, they are all tackling complex global topics successfully in their own style that allows the viewer to relate on a personal level. 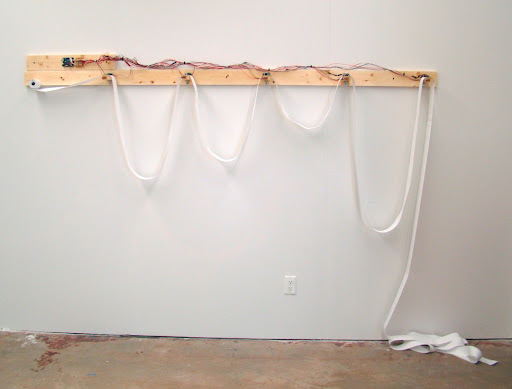 Jessica Tankersley, In Between Points, Electronic Sculpture, 8′ x 14′ x 23″, 2011In Between Points attempts to materially map the time spent between points on a path.The motors only turn when photo-resistors sense an object or person in front of them. The accumulation of paper in between platforms maps the time they spend at each point. Undergraduate artist, Jessica Tankersley’s fearless experiments in computer gadgetry apply her rewired circuits and the software programs she writes to kinetic sculpture unlike any I’ve seen before. The comparison she raises between organic biology and rapidly growing technology, such as social media, shows much promise for future artwork from this emerging artist. Measuring the Level of Resistance from Tara Najd Ahmadi on Vimeo. The time-based work of graduate student artist Tara Najd Ahmadi is equally as noteworthy for its honesty in openly delving into the personal and political history of the artist’s Iranian roots. Ahmadi presents a sensational cinematic language all her own splicing sequences of puppetry, archival footage and performed gestures that enable her to tell a powerful story forever etched in our memory (after seeing it) as well as hers. 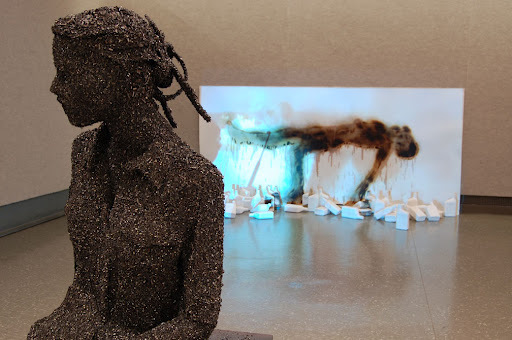 Iron shavings, magnets, steel, plaster, video projection, 2009. Matthew Boonstra’s mixed media installations and sculptures poignantly address the human fallout resulting from the decline of American industry. Evocative of the great pop artist, George Segal depiction of the depression, Boostra’s present-day figures in iron shavings are haunting and call much deserved attention to the millions of lives devastated by the current economic crisis. Finally, the impressive amount of detail in Angie Piehl’s drawings and paintings bring the fetish to life and seduce us with their display of discipline and indulgence. Her work contributes to the ongoing conversation in contemporary art by artists like Cathy de Monchaux and Megan Greene that questions gender roles and assumptions with a playfully dark edge. All of the 2012 fellowship artists present work that is extremely current, forward-thinking, and in dialogue with the thoughts and ideas contemporary artists around the world are addressing in different ways. Their distinctive style and mastery of their medium adds a breath of fresh air to the discussion. 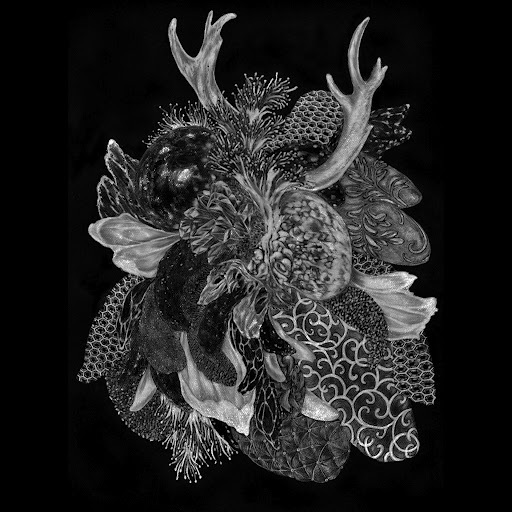 The Oklahoma Visual Arts Fellowship is supported in part by Allied Arts, the Oklahoma Arts Council, the Kirkpatrick Family Fund, and many donors through the 12×12 Art Fundraiser. Artists may apply annually for this open merit-based award. 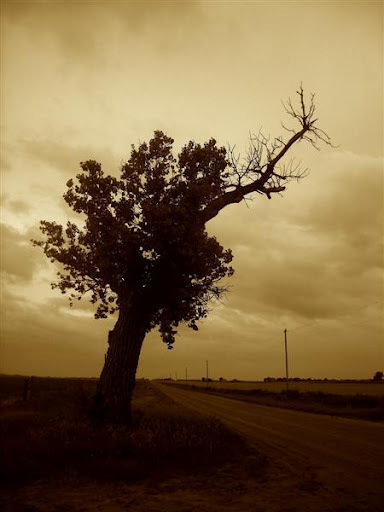 Growing up in Protection, Kansas, Andrew Lauffer discovered his passion for photography early in high school. Andrew received an Oklahoma Visual Arts Coalition Professional Basics Grant to help with installation costs for his first photography exhibition, “Where Life Began.” The show highlighted Andrews progress from growing up in Kansas, to the present where he currently teaches full time at Northwestern Oklahoma State University in Alva. 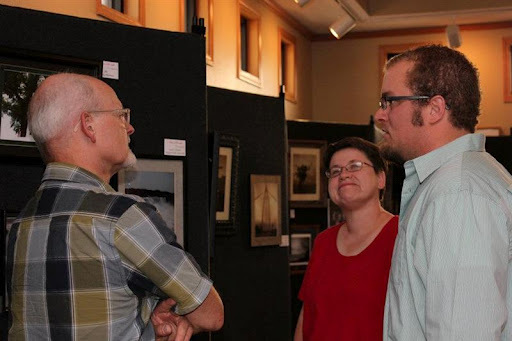 Artist Andrew Lauffer (r) chatting with attendees of his exhibition. After receiving funding from the grant, Andrew expressed the benefits of his first photography show he had planned since December of 2011. The grant not only helped Andrew fund his first show, but also gave insight for planning future photography exhibitions as an emerging artist. The next OVAC Artist Grant deadline is July 15. See the OVAC websitefor more information.